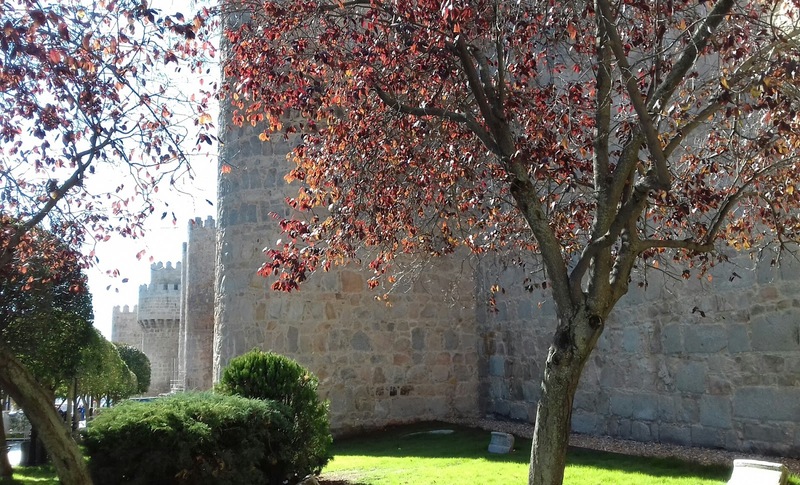 En Avila los días de invierno son fríos pero soleados y muy especiales, su cielo azul es inigualable. La Muralla de Avila única y mil veces fotografiada siempre nos puede ofrecer ángulos menos vistos pero siempre perfectos. Lovely! Wouldn't mind a little sun comming our way! It has been grey for weeks! What a great piece of history to take your mind off the troubles in the world. Lovely tree leaves and a great backdrop for your photo.